The Vacation Rental Management Filing System step-by-step instructions as a .pdf, .doc, or .htm. If you're using TCSReservations, get the little label-generator utility HERE. Use Avery 5766 labels (or similiar size). 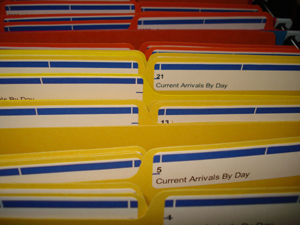 Make 31 folders, labeled 1-31. Make 12 folders labeled with the current year and the name of the month. Keep current and montly arrivals fairly close together. 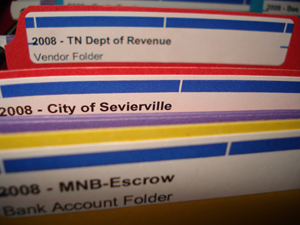 See Vacation Rental Management Filing System for details about rotating these in and out. 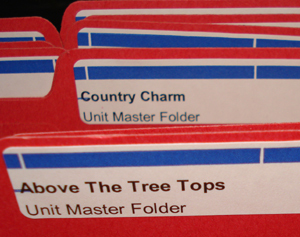 Make a folder for each unit labeled with the name of the unit. 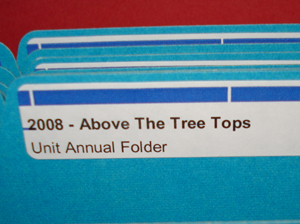 Make a folder for each unit labeled with the current year and the name of the unit. 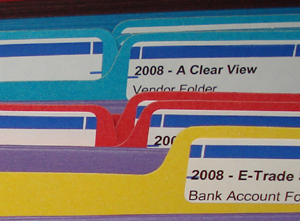 Keep Current, Annual, and Master files fairly close together. 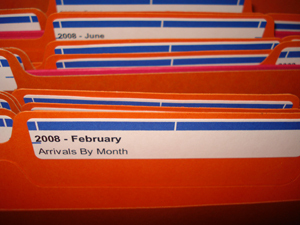 See Vacation Rental Management Filing System for details about what to keep in each folder. 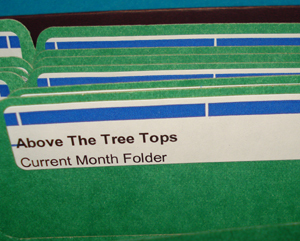 Make a folder for each month with the current year on the label. 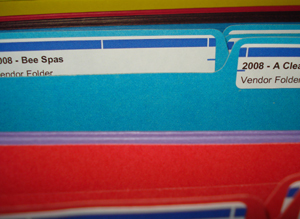 Make a folder for each vendor. Remember, your company is a vendor to the escrow account. 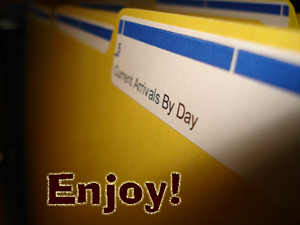 See Vacation Rental Management Filing System for details about what to keep in each folder. Make a folder for each bank account and each tax authority. Keep the tax authorities and other vendors fairly close together. 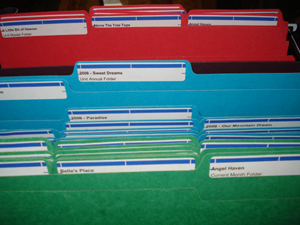 See Vacation Rental Management Filing System for details about what to keep in each folder. 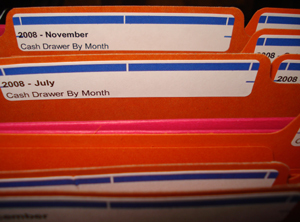 Keep your credit card statements close to, if not in, the bank account folders. Get the little label-generator utility HERE. Printer Friendly Version (.pdf) of this photo layout. Notice there aren’t any owners’ files listed ~ they're just not necessary with this system. You want to be careful to keep escrow files separate from your operating account and regular office papers. Don't skip the instructions; they hold the secret for keeping it simple and organized. 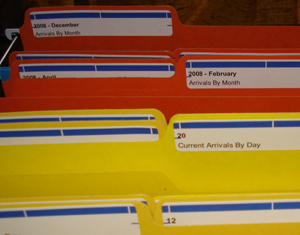 Vacation Rental Management Filing System is brought to you by Eddie Nelson at The Company Software. Eddie is the Author and Programmer of TCSReservations.